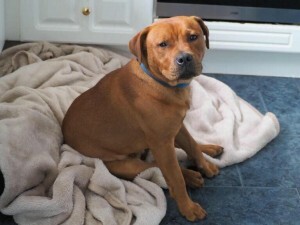 Barney is a gorgeous, chunky 8 month old Staffy cross puppy who has lots of energy! 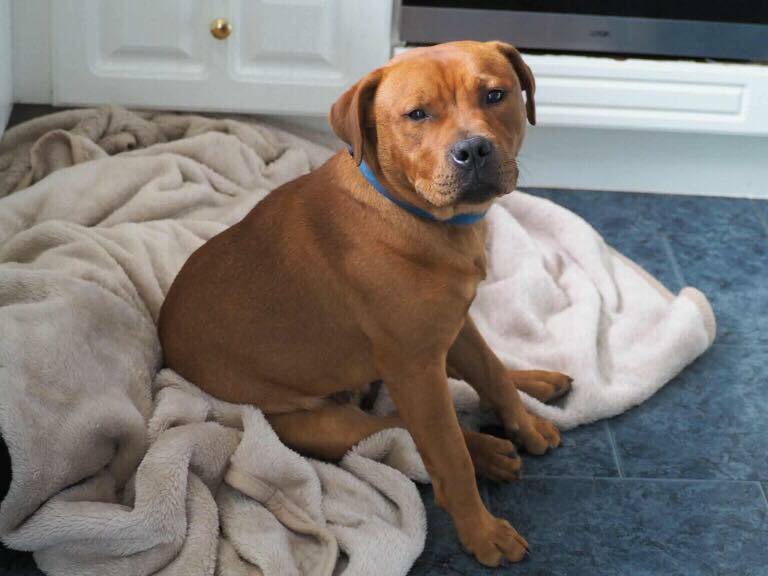 He is currently living in a foster home where he’s being a very good boy (with some puppy mischief too of course!). 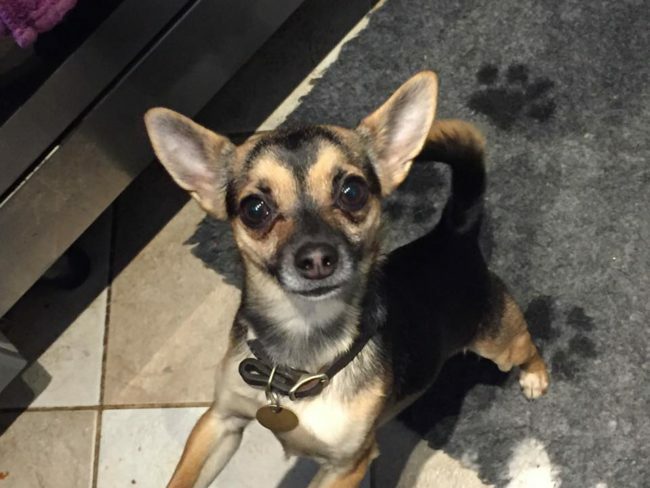 Barney is a typical young boy who is excitable and loves to play. He loves to play with other dogs, and is too much for older calmer dogs, but would love to live with another playful dog. A female who will play with him, but keep him in check would be ideal for him. He could also live as an only dog, as long as he gets regular socialisation with other dogs. Barney gets quite over excited around cats, and will chase, so he’d be best not to live with cats. Barney is very good around the house – he is fully housetrained, sleeps downstairs without a peep and is fine to be left for a few hours on his own. 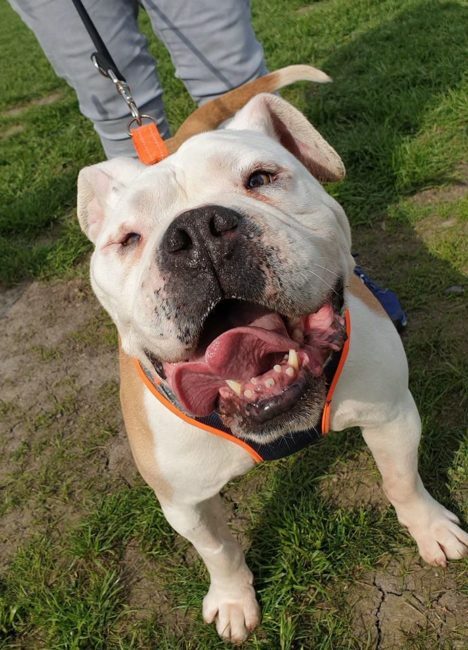 He will need an active home where he will get lots of exercise, socialisation and further training to make sure he matures into a well rounded boy. He is a real cracker, and is ready to find his 5* forever home.